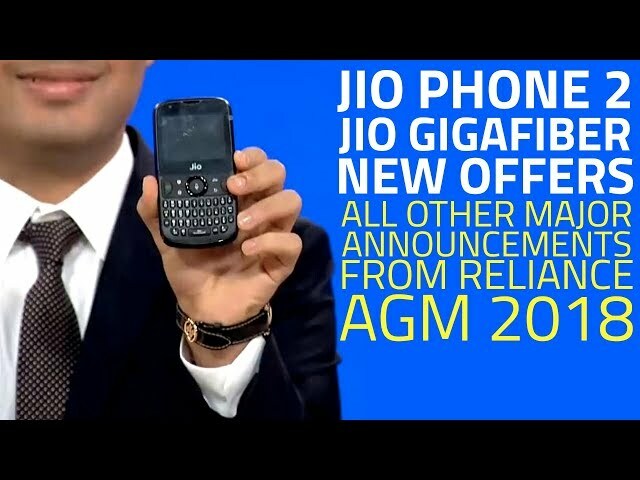 The Jio GigaFiber launch at RIL AGM was accompanied by the announcement of the Jio Smart Home Accessories suite. This includes an audio dongle, video dongle, smart speaker, Wi-Fi extender, smart plug, outdoor security camera, and a TV camera among others. Alongside major connected devices, Reliance Jio is set to bring smoke sensor, water leak sensor, siren, gas leak sensor, panic button, door sensor, and smart video doorbells. These are designed to let users control and monitor their homes remotely using their smartphones. The prime purpose of the new launch is to expand the presence of connected homes in India. “With some simple accessories that Jio will provide, every appliance, every plug point, every switch in your house will become smart, which means that they can be securely monitored and controlled from anywhere and everywhere,” said Akash Ambani, Managing Director, Reliance Jio, while announcing the new suite at the Reliance Industries’ 41st Annual General Meeting (AGM) in Mumbai. Reliance Industries President Kiran Thomas at the AGM highlighted that the new devices will enable Jio users to control and monitor “every aspect” of their homes, including temperature, lighting, electrical appliances, gas and water leakage, motion detection, and opening and closing of doors and windows. The devices will also enable remotely caring for babies and elderly, the executive said. “Imagine controlling your entire home directly from the MyJio application,” he added. The setting up process of a smart home using the Jio GigaFiber network will take as short as one hour, claimed Reliance Jio Director Isha Ambani. While Reliance Jio hasn’t specified any timeline on the launch of the Jio Smart Home Accessories suite, considering the August launch of Jio GigaFiber, it could happen sometime this year. The model briefly presented at the AGM appears to be similar to what Google’s Nest offers in the US. However, it is unclear whether the connected devices will work exclusively with the Jio network or could be operable through other networks as well.